Although the Self Assessment isn’t due until 31st January each year, most find the deadline lingers in the back of their mind. Yet many choose to delay it until December or even the month of submission itself – and this can cause ‘tax anxiety’. The stress and late nights spent worrying about the Self Assessment deadline can be easily avoided. Here, we go through why it pays to get ahead now. If you leave yourself enough time to complete the tax return, then any disruptions won’t matter. However, deferring it until December coincides with the time you are most likely to experience these distractions. Whether it’s Christmas shopping and events, or just the demanding planning that comes with this time of year, trying to sit down to finish the Self Assessment is made difficult. Even when you are able to, everyone else is in holiday mode. Doing your taxes is likely to be the least appealing activity, and you may put it off – further aggravating your tax anxiety. Whilst you’ll be trying to revel in the celebrations, the Self Assessment deadline will loom. This will put a damper on what should be a happy time of year. Perhaps you’ll feel like taking yourself away from all the Christmas cheer to get it sorted, but we all know that this isn’t an easy feat. If you complete the tax return prior to December, you’ll be able to forget about the deadline altogether and get back to spending time with your loved ones. You’re not the only one who wants to enjoy the festive season. Those who could help you with your tax affairs won’t appreciate hearing from you during this time, whether they’re a friend, family member or an accounting professional. You may even have to enquire to HMRC, but they have specific opening hours and are closed on many days around Christmas and New Year’s. Once January comes around, normal working hours will resume. Many others will have last-minute tax stress too, increasing the time you’ll have to spend on hold and making other communication with HMRC slower. The longer you have to wait for this assistance to complete your Self Assessment, the worse tax anxiety gets. The solution to avoiding tax anxiety altogether is to simply get the Self Assessment tax return done as soon as possible. This is where tax return software proves itself invaluable. It figures out all the calculations for you, and even offers tax-saving suggestions so you can minimise your liability. 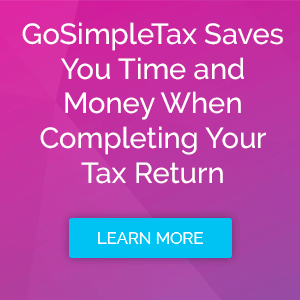 If you’re fighting against time, then GoSimpleTax can be used on the go. You can do everything via your smartphone – from uploading your expenses to submitting your tax return direct to HMRC. To get ahead of the Self Assessment tax return deadline and remove any feelings of anxiety, take a free 14-day trial of GoSimpleTax today.